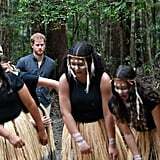 Prince Harry and Meghan Markle's royal tour of Australia just keeps getting better! 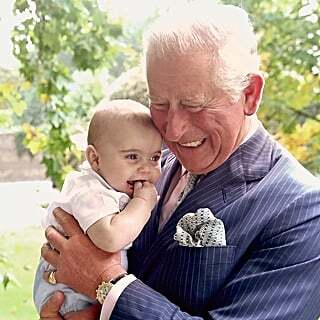 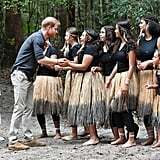 Although Meghan recently announced that she'd be cutting back on her busy tour schedule for some rest and relaxation during her pregnancy with the couple's first child, she accompanied Harry on a trip to Fraser Island on Monday. 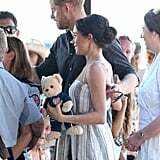 The pair walked hand in hand down a pier to a group of excited onlookers, who happily handed Meghan and Harry stuffed animals and other adorable gifts. 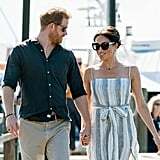 Meghan cradled her baby bump as they strolled through the sun and rocked a summery Reformation dress with a thigh-high slit and Karen Walker sunglasses that we can't get enough of. 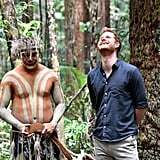 While Meghan spent the earlier part of the day getting some rest at the Kingfisher Bay resort, the Duke of Sussex journeyed solo into the Pile Valley region in the interior of Fraser Island to meet with the Butchulla People. 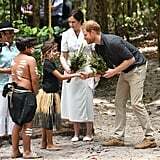 They are the island's traditional owners and performed a smoking ceremony for the prince's arrival. 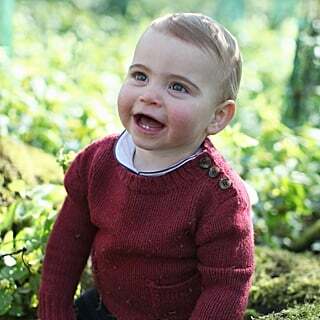 He also spent some time on the island's stunning beach, sitting in the sand and taking it all in. 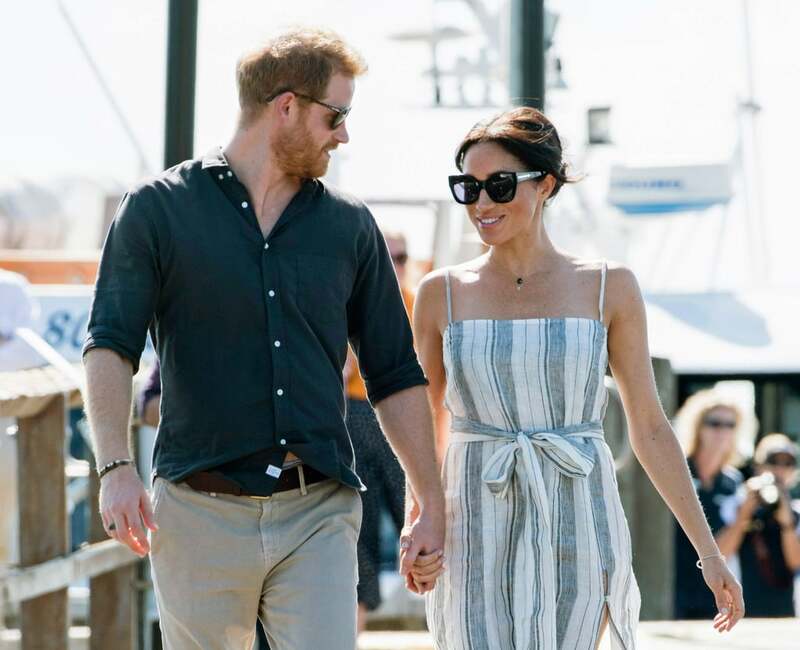 Keep reading to see more of Meghan and Harry's trip to Fraser Island, then click here to see what else they've been up to on their 16-day tour of Australia!